The only way to administer ExamView tests is by printing them. The Style Gallery feature allows you to easily format your test to match an existing state or national test. Using ExamView Test Generator you can create up to 26 different versions of the same test; and you can automatically scramble the questions and the multiple choice options. ExamView Test Generator provides three selection methods to select questions for a test. With ExamView Test Generator, you can create dynamic questions. These questions contain variables and can be recalculated to instantly form a brand new question. 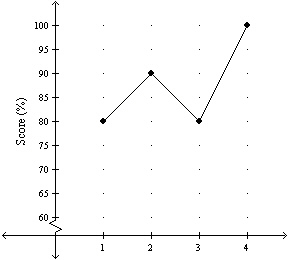 ExamView Test Generator includes features that let you create ___ graphs. 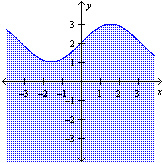 These graphs can even be dynamic. If you choose to print multiple versions of a test, you might also want to print a _____ so you can easily see how each version of your test was scrambled. You can include up to 14 different kinds of question types including: multiple choice, bimodal, true/false, yes/no, case, short answer, problem, completion (fill-in-the-blank), other, and ___. Click the button to toggle a(n) _____ question between short answer mode and multiple choice mode. ExamView Test Generator lets you easily create ____ tests. • The ability to create dynamic questions that can be recalculated with a single click to form brand new questions. • The ability to add response grids to numeric response questions. Response grids make it easy to grade numeric answers, and also give students valuable practice with the grid format used on many standardized tests. • A full-features equation editor which gives you the ability to lay out complex equations using over one hundred mathematical symbols, dozens of mathematical templates or structures, and multiple formatting options. 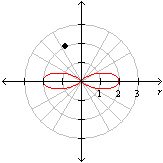 • A powerful graphing tool which allows you to easily create Cartesian graphs, polar graphs, and number lines. 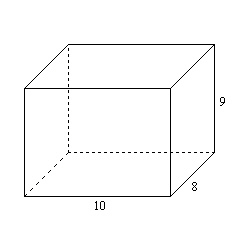 The rectangular prism below has a length measuring 8 units, a width measuring 10 units, and a height of 9 units. What is the surface area, in square units, of the prism? Stephanie is a classic movie fan. In fact, she likes them so much she participated in a series of four quizzes for the program MovieQuiz. What was her average score? While using ExamView, you can access the online _____ to display step-by-step instructions for any feature of the software. For each question type, you can provide custom _____ for your students. With the ExamView Test Manager, you can easily import results from tests taken on scanner forms or taken with the __________ software. The Select from a _________________ option lets you choose questions by identifying those you want to select by number. The __________ feature lets you change the size of the visual test to 10, 20, 50, 75, 150, or 200 percent of the test document's original size. Identify the buttons from the ExamView toolbar. Match each item to the statement listed below.